We have always had that ever smiling chattering social butterfly in our classrooms who would go about enjoying and pulling up pranks in the class just like a normal student; but would end up acing all the tests and ranking in the top three. No, he wasn’t the geeky Chatur Ramalingam from the movies but a normal student like us, and had his share of fun. But there are things you never knew, the secret behind his marks; presenting before you the 10 tips on How to ace your studies without being a bookworm. Yes, I know that you’re not some primary kid, but given the huge list of formulae and theorems that we MUST get by heart before that test, reading aloud helps. Remember the time you learnt your tables by reading them aloud? No, I don’t want you to go into some trance and turn religious; light meditation just helps ease out the stress. Five minutes a day, try closing your eyes and talk to yourself. It is relieving and the after effect will leave you amazed at yourself. The point is, always do your homework on time. Just don’t let it pile up for over a week and then spend sleepless nights over it later. The toppers usually hang on to this and spend an hour extra every day rather than spending a sleepless Sunday night every week before submissions. 4. Write, Write and WRITE!!! Because no damn superpower would give you the capability of writing a three hour paper without loads and loads of practice. Even if you copy notes from a friend, try writing it on your copy yourself. Give the XEROX machine a break buddy. I have this kindergarten kid in my colony who has three tuitions daily. I mean, that kind of pressure is derogatory and the cause behind the falling standards. Who has the time to breathe ? Give yourself a break and study for yourself. Trust me, you’ll improve eventually and it will pay off in the long run. Besides, you’ll save some of dad’s hard earned money, dude! This is a secret no topper would confess to you. Assuming that you understand English, you can always give the next chapter a reading before going and sitting in the classroom. It helps you comprehend the jibber jabber of the lecturer and you will feel the difference yourself. Suddenly, all the things your teacher speaks will make a lot more sense. Most possibly, you’ll even enjoy your long sleepy afternoon classes. Now, I know most of you reading this article are already obsessed with the studies in the first place, but my experience tells that it is the worst thing you can do to yourself. 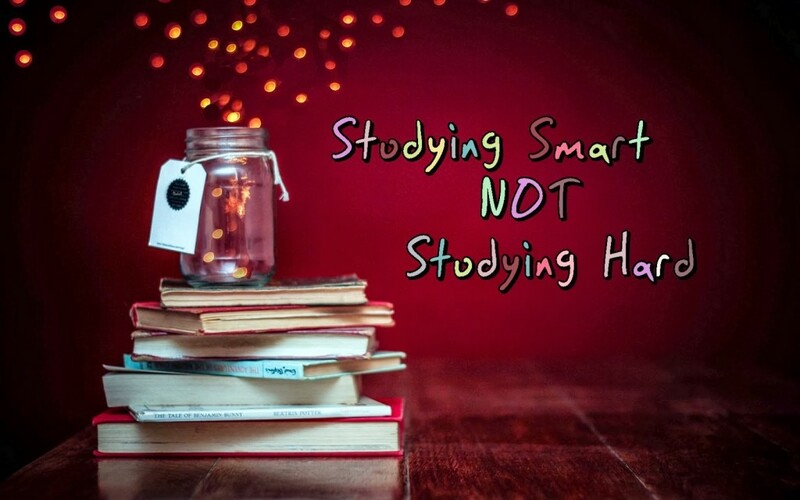 Relax, studying is a part of our life and there is nothing herculean you cannot handle. All you need to do is to develop a few habits and stop obsessing. Don’t cheat yourself for god’s sake. I had this friend we called Mr. Studious. He would skip parties, never go out, lock himself up all day in a room hiding behind piles of books and still score average marks. NO, he wasn’t stupid. He made himself miserable by pretending to study while all through the day, his mind was on things he was missing out. So, have your books on your mind when you sit down to study, even if it is for just thirty minutes in a day. It will be more beneficial than pretending to study all day long. Mild nervousness is common, but stop fearing that you’ll fail. Given that, you have spared the bare minimum of thirty minutes a day on your books, there is no reason you can’t excel. All you have to do is to trust yourself. About author : Debjani Chakraborty is a 1st year Mass Communication and Video Production student at St. Xavier’s College, Ranchi.